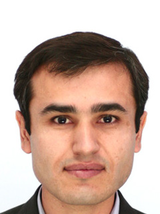 Hafiz Boboyorov’s fields of expertise include collective identities, social networks and other local practices of people in shaping local, state and global politics, existential security and practices of people, interdisciplinary conceptualisation of existential security and social practices of people, Islamic politics in contemporary Tajikistan and other Central Asian societies. In 2014, he founded the Center for the Study of Contemporary Processes and Future Planning at the Academy of Sciences of Tajikistan, Dushanbe, Tajikistan. He was director of the center until 2015. He is collaborating with BICC in the framework of the Volkswagen Foundation-funded research project titled “Local Security-Making in Kyrgyzstan and Tajikistan. The Production of Securityscapes in Everyday Practices,” which is running from 2015 to 2018. Boboyorov, H. (2018). Critical engagement and endangered academic freedom in Tajikistan. openDemocracy.